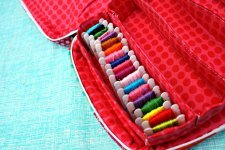 "This square embroidery travel case features a zipper that goes almost all the way around the side panel and a top handle for easy portability. The back of the case has a large pocket that will hold your 6" or 8" embroidery hoops. 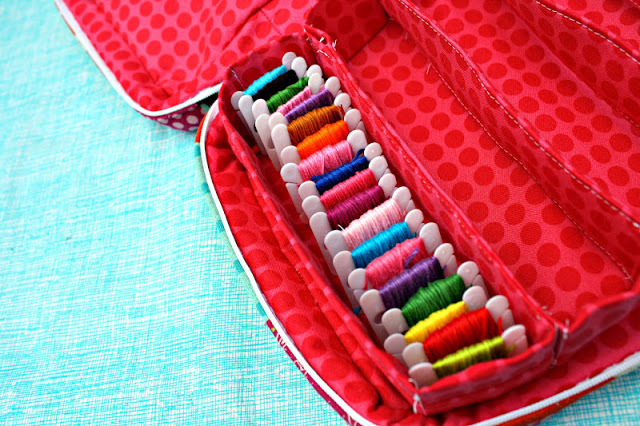 Inside is a sturdy 5-section divider that will hold all of your carded embroidery floss, plus extra room for scissors and other notions. 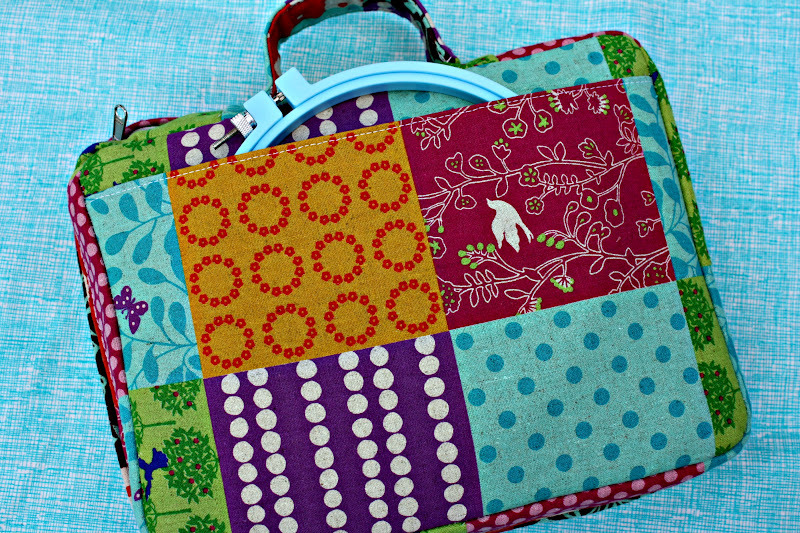 You can find this and other fun sewing projects at Pellon Projects! 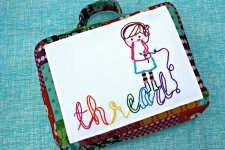 "The embroidery design for the front of the case is from Rachael of Imagine Gnats. 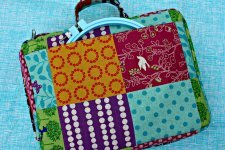 The pattern, also included in this project, has full instructions, templates, and stitch/floss color guide. This was only my third try at embroidery; I don't think I messed up too badly. ;-) Even if you are new to embroidery, you will have lots of fun with this beautiful design!" What do you think of this project?